I have discovered the ultimate improvement in classic comfort food – healthy lasagna! That’s right, sans all the fat, but with all the taste…but a very different taste. I found this recipe on The Kitchn and it sounded like such a great spin on the original (though totally different) I had to try it. 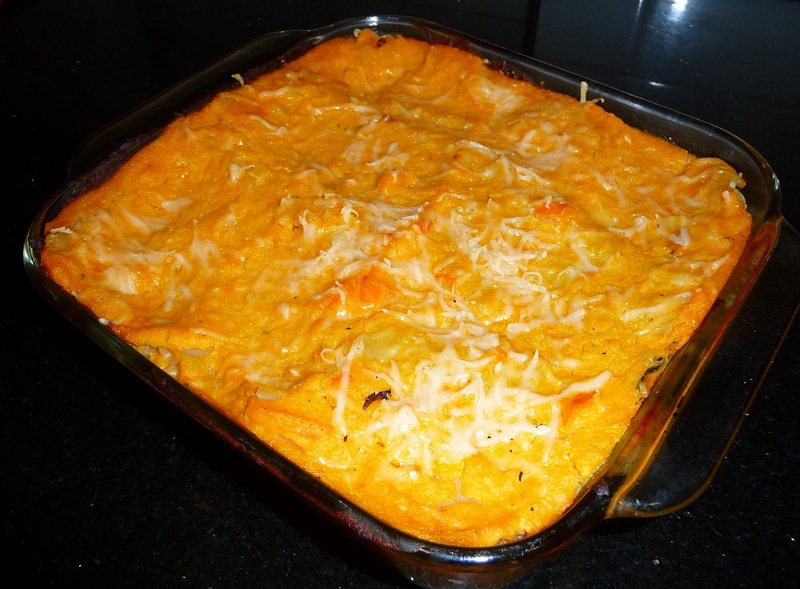 Instead of a heavy, fattening bechamel, you puree cooked butternut squash with a little cheese and milk. I took mine an extra step toward healthy by trading out 3/4 of the cheese with tofu and a little fat free sour cream and honey. Honestly, there are endless various for this “bechamel” – all possibly in your handy dandy food processor. You could do tofu and herbs and make this dish completely vegan. I didn’t have mushrooms to saute with the card, so I just added some tofu cubes for texture – talk about veggie and protein packed lasagna! ← Let's go to the grocery store!